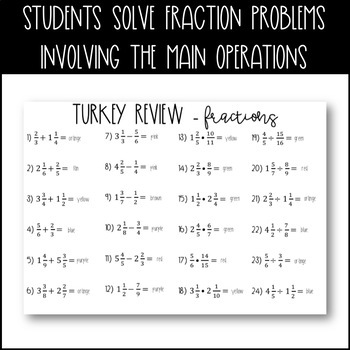 This download includes 24 problems on fractions operations (adding, subtracting, multiplying + dividing). 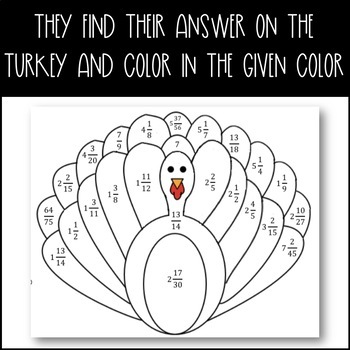 Students solve the problems, then use the answers to color the turkey. 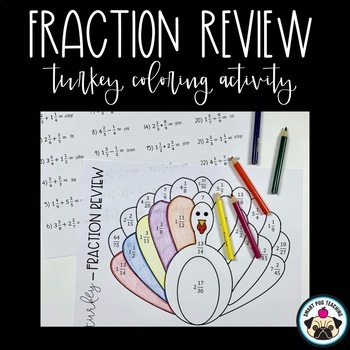 This coloring activity is a fun + engaging way for students to practice the various operations with fractions.